Every year we sponsor approximately 300 boys and girls, ages 9-16, to attend an all-expenses-paid summer Leadership Program. This unique annual program features educational opportunities, career exploration, character building, field trips and basketball. Programs are held in Oregon, California, and Arizona. NBA Iron Man A.C. Green personally supervises each program. The goal of the Leadership Program is to identify and encourage leaders among children who might otherwise be forgotten -- those who lack positive role models, are physically and/or emotionally abused, economically disadvantaged or victims of homelessness. To expose children who would not otherwise have an opportunity to attend camp to a camp environment. To engage youth in activities which encourage cooperation, sportsmanship and teamwork. To expose youth to leadership figures and positive role models. To offer a learning experience through career exploration field trips. To teach athletic skills and character development while still providing fun experiences. To acquaint youth with unique career opportunities and to bring these careers within their reach. To discourage behavior which may continue the cycle of abuse, poverty, or homelessness. What Happens at the Program? While attending Summer Leadership Program, participants are challenged on, and off, the basketball court. While part of each day is spent learning basketball skills, practicing drills and improving techniques, participants also spend time learning about life. Guest speakers encourage them to set goals and work hard, explaining that the decisions we make today will directly impact our tomorrow. 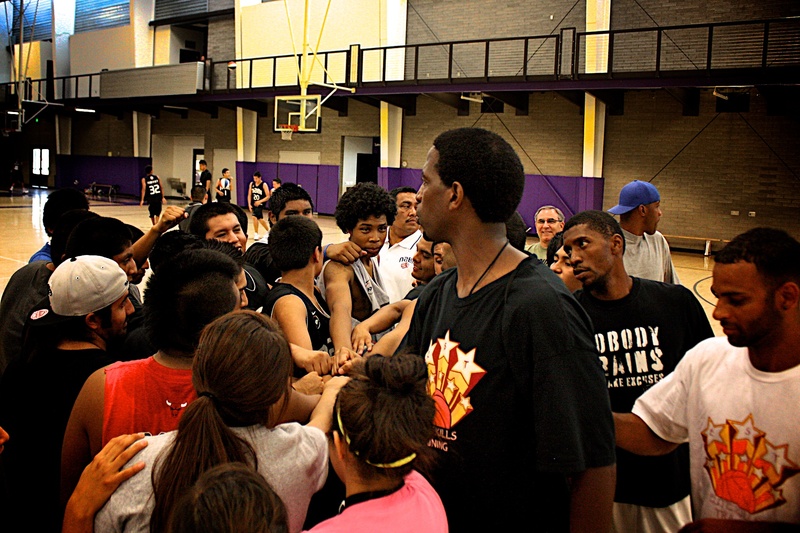 Through interaction with A.C. Green and other positive role models at Leadership Program, campers learn that realizing their purpose in life can make the difference in achieving their true potential. The program is for children between the ages of 9 and 16, and runs from 1:00 p.m. - 5:30 p.m. If you have questions, contact us at 1.800.AC.Youth, or complete the contact form.